I intend to do the 5:2 not because I want to lose weight, but because I want to increase the Akkermansia in my gut – should I not have any milk in my tea or coffee on the fasting day? Have you read ‘The Fast Diet’ by Dr Michael Mosley? Fasting for health is about using calories wisely not starving the body. 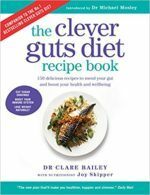 Whether you include caffeinated drinks or dairy products partly depends on the results of your detailed food and symptom diary (p.187 of ‘The Clever Guts Diet’). thanks for your reply. I really want to know whether the milk in my tea/coffee would not be constituted as fasting as Michael states that the Akkermansia bacteria like it when we fast as it lives on the mucous in our stomachs. I’m certainly not starving myself, I’m just curious to know whether the milk in my tea would undo my none eating of food. Does that make sense? Whose version of 5:2 fasting involves not eating food? Have you read Dr Mosley’s book on the subject? Apologies: that post reads as overly blunt/ rude, even for me (foot-in-mouth disease)! I think I understand your question, but I am not sure you know what Dr M means when he refers to “fasting”. Is anyone else able to answer my question please? Does drinking milk in my tea and coffee on a fasting day negate the idea of fasting and so it will impede the development of Akkermansia bacteria? Milk does count as food, and can have a potentially inflammatory effect on the gut. Some of the components of it will make their way through into the colon and be digested by the organisms there. I don’t know if this would be sufficient to change the Akkermansia but would be tempted to leave it out during my fasting hours for these reasons to ensure the fast was effective. No one will be able to give you a specific answer because the evidence doesn’t exist to link the two variables (milk in coffee an akkermansia). You’d need to carry out a clinical trial specifically to investigate. That said, black coffee is fine. Milk is a really complex food with proteins, sugars and fats. So consuming milk will most likely undermine some of the benefits of fasting. That’s as close as it would be possible to call it.. Thanks Graham – I actually drink soya so perhaps a little less complex than milk. My question is a simple one of curiosity- this whole gut biome topic is fascinating!